Periodontitis is one of the most common chronic bacterial infections. Several studies identified periodontal disease as an indipendent predictor of the rish of cardiovascular diseases. Oral bacteria can enter the bloodstream following dental extractions, brushing of theet and chewing, and cause transient bacteremia in humans. The direct action of bacteria and their molecules on the endothelium is demonstrated by the presence of genetic material of gingival pocket bacteria in non-oral tissues like atheromatous plaques and human arteries. Initiation of platelet aggregation by platelet aggregation-associated protein (PAAP), a mechanism that promotes atherosclerosis development. 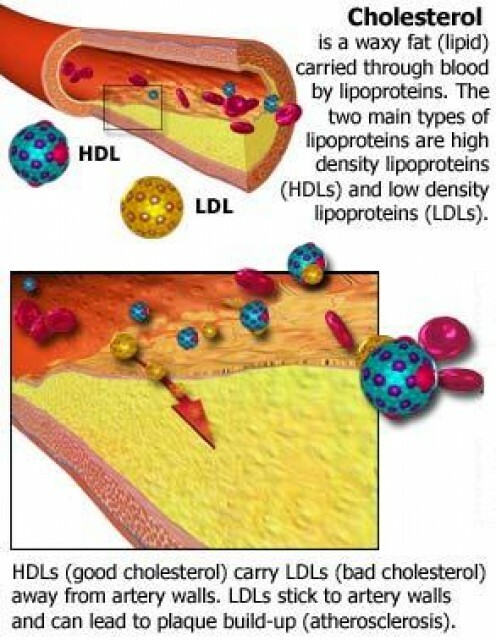 PAAP and similar molecules are expressed on the cell surface of bacteria like Streptococcus sanguinis and Porphyromonas gingivalis, capable, also, of increasing NADH oxidase activity, wich is implicated in the oxidation of low-density lipoproteins into atherogenic oxy-LDL. Capability of bacteria to induce surface ICAM-1 expression. P. gingivalis can induce the expression of ICAM-1, a type of intercellular adhesion molecule which facilitates macrophage under the endothelium, where they are subsequently transformed into foam cells. Cytokine, inflammatory mediators released by the cells of the immune system, play a key role in the damage to the vascular wall endothelium. Bacterial endotoxins, such as lipopolysaccharide ( a ), bind to CD14 receptors of monocytes, macrophages, and vascular endothelium cells. However, they are not capable of transferring the signal through the cell membrane. A decisive role belonged to the Toll-like receptors ( b ) present on the surfaces of immune system cells:macrophages/monocytes and granulocites. These receptors recognize bacterial endotoxin molecules, initiated intracellular signalling, and mediate the transcription of a factor responsible for the release of proinflammatory and proaggregative cytokines such as PGE-2, IL-1, IL-12, and TNF-alpha. These activate the arachidonic acid cascade and initiate further synthesis of prothrombotic agents, such as leukotrienes (LTB4 and LTC4), prostaglandins (PGE1 and PGE2) and tromboxanes A2. The compound stimulate monocyte/macrophage chemotaxis and adhesion to endothelial cells, which leads to intracellular lipid accumulation and the formation of foam cells. Chronic inflammatory processes are associated with elevate levels of fibrinogen and C-reactive protein (CRP). TNF-alpha activates both IL-6 secretion, which stimulates the liver to produce CRP, and the synthesis of clotting factors, which may induce arterial microthrombosis and cardiovascular pathology. A report of the American Heart Association and Centers for Disease Control states that a serum CRP level of over 3 mg/1 is associated with high risk for cardiovascular complications. Autoimmunization theory, which emphasizes the significance of heat shock proteins (HSP65) expressed on oral pathogens. Anti-hsp65/60 antibodies are present in the saliva of subjects with chronic periodontitis, while are not present in healthy parodontum. Several studies suggest the existence of an autoimmune process where antibacterial antibodies show cross-reactivity with endothelial HSP-60, leading to endothelial cell damage and exposure to inflammatory factors. Relationship between periodontal disease and hyperlipidemia. The association between periodontitis and coronary heart disease may be due to the elevated levels of plasma lipids. Lipid metabolism may be alterated by chronic local and acute systemic infections which are involved in the plasma concentrations of unregulated cytokines and hormones. The main features of this catabolic state are lipid oxidation and elevated free fatty acids, triglycerides and low density lipoprotein (LDL) cholesterol. Cytokines such as TNF-alpha and IL-1beta are produced in response to systemic Gram-negative LPS exposure. These cytokines exert effects on lipid metabolism by influencing production of other cytokines, altering hemodynamics/aminoacid utilization of various tissues involved in lipid metabolism, or modifying the hypothalamic-pituitary-adrenal-axis increasing plasma concentrations of adrenocorticotropic hormone, cortilos, adrenaline, noradrenaline and glucagons. The result is an elevation of free fatty acids, LDL and triglyceride levels. Focal accumulation of lipids is considered the cause of initiation of atherosclerotic plaque, in association with an initial endothelial damage caused by LPS. Lipids may also interact directly with the macrophage cell membrane, interfering with membrane-bound receptors and enzyme systems, altering macrophage gene expression for pro-inflammatory cytokines such as TNF-alpha and IL-beta1 and essential polypeptide growth factos such as platelet-derived growth factor, transforming growth factor beta1 and basic fibroblast growth factor. Another possible mechanism by which LPS contributes to the development of atherosclerosis is the oxidative modification of LDL induced during macrophage activation. Ox-LDL is taken up by macrophage scavenger receptors leading to the transformation of macrophages into foam cells. Also, ox-LDL is cytotoxic for endothelial cells and is a potent chemo-attractant for circulating human monocytes. These hypotheses, which seem to complement one another, try to elucidate the mechanisms and the relationship between chronic periodontitis and cardiovascular diseases. Now we want to talk about the role of one bacterium in particular, Streptococcus Mutans, in the development of atherosclerotic/atheromatous plaques and infective endocarditis. S.mutans is part of an heterogeneous group of gram positive bacteria which is called Viridans streptococci, that are commensal habitants of the human oral cavity. In addition to dental caries and dental related pyogenic infection, oral streptococci are also important agent of infective endocarditis. 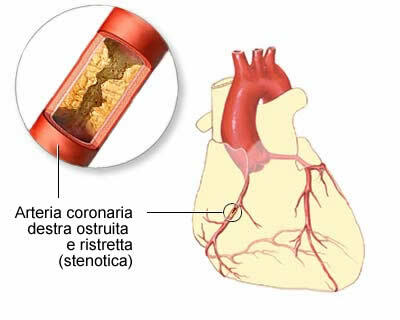 More than 20% of cases of viridans streptococi-induced endocarditis are caused by S.mutans and it can be found also in atheromatous plaques with an incidence of 74%. S. Mutans are identified in four serotypes (c,e,f,k) and the serological specificity is defined by rhamnose-glucose polysaccharide (RGP) on the cell wall. Studies show that serotype "e" is prevalent in cardiovascular samples from diseased patient but identify in serotype "f" in particular for strain OMZ175 the highest invasive capacity to enter and persist in endothelial cells with a bacterially-driven process. RGP acts like a putative adhesine for the binding of S mutans to endothelial and fibroblastic cells as well to platelets. OMZ175 can persiste long time inside the cell (29 hours) but it can't multiply inside it. His long surviving time inside the cell suggest that the invasive organism may not be readily clear by the immune sistem or antibiotic treatment, this fact potentially contribute to the establishing of chronic disease. Research on S. mutans OMZ175 revealed that there are two tipe of adhesive molecules: RGP and Protein I/II that bind in specific way endothelial cells. This bond stimulate the target cell to produce cytokines and this is essential for the initiation and amplification of inflammatory responses that are correlated to cardiovascular disease. Both adhesine RGP and I/II have a specific and saturable binding with endothelial cells and they are able to increase in a dose-dependent fashion the secretion of IL-6 and IL-8. This adhesine are able to bind glycoprotein located on target cell surface. It is provided that protein I/II interacts with cells through lectin interaction via NANA and fucose residues of the surface glycoprotein, NANA and fucose may form the recognition sites that mediate protein I/II binding which allows cells to secrete inlammatory cytokines. There is evidence that these adhesine can also be released from bacteria surface and act per se at a distance with the potential capacity to accelerate the inflammatory process. The induction of platelet aggregation and formation of bacterial thrombotic vegetation are considered to be important virulence traits in the patogenesis of Cardio Vascular Diseases (CVD).Mutans' RGPs are involved in the adherence of bacteria to platelets through a direct bond (which suggest a receptor-ligand interaction) and are capable of triggering platelet aggregation in the presence of plasma, because it has to interact with plasmatic coagulation factors and with specific IGg to induce aggregation. The aggregation can be completely blocked by PGI2. Other Viridans Streptococci (S.sanguis) have a rhamnose-rich glycoprotein called PAAP that acts in similar way as RGP. It has been identified a cell wall-associated protein, FBP-130, as a receptor which bind fibronectin (Fn). Thanks to this protein, S. mutans can bind Fn in extracellular matrix, exposed on endothelial cell surfaces or circulating Fn (even if with lower affinity than other viridans streptococci). The complex bacteria-circulating Fn may become attached to tissues through Fn-fibrin, Fn-collagen and Fn-Fn interactions. In addition, binding of soluble Fn may facilitate the extravasation or migration from oral compartments to distant regions of the body. Coating of the microorganism with soluble Fn may facilitate escape from host immune surveillance. It has been shown that microbial adhesion to Fn -coated surfaces parallels adhesion to endothelial cell surfaces for various strains of bacteria. Therefore, fibronectin is critical for bacterial adherence to vascular surfaces. All these results show how oral bacteria can be a serious risk factor for development of cardiovascular diseases.